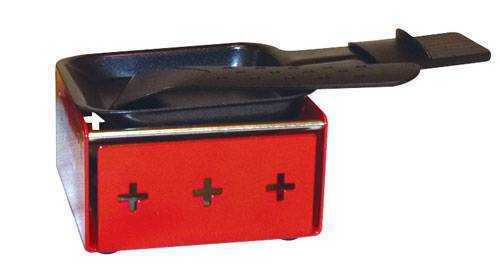 This portable cheese melter has a sturdy metal frame with a non-stick pan and a spatula. The frame uses 4 tea lights to melt cheese in just 5 minutes! Measures 4 inches x 4 inches x 2 inches high for easy transport. Choose Red or Black My Raclette. Service Area: New Glarus, Beloit, Freeport, Rockford, Loves Park, Machesney Park, Baraboo, Fort Atkinson, Roscoe, Monroe, De Forest and surrounding communities.